Join Kiran Millwood Hargrave, author of the bestselling 'The Girl of Ink & Stars', as she talks about her latest book 'The Island at the End of Everything'. Learn about the real-life history that inspired the book and hear Kiran’s incredible journey to becoming an award-winning writer. Kiran Millwood Hargrave is a poet, playwright, and author of adventure stories for children. She started writing poetry in her final year at university, producing three poetry books and a play before she turned to fiction. Kiran writes diverse characters and often sets her books on islands. She likes to tilt reality just enough to let some magic into her stories, which are about ordinary children who find themselves on extraordinary adventures. Her bestselling debut The Girl of Ink & Stars (aka The Cartographer’s Daughter in the US), about a mapmaker’s daughter who must save her island, was a Financial Times Book of the Year and was shortlisted for the Branford Boase Award, the Little Rebels Awards, and won the Waterstones Children’s Book Prize 2017 and the British Book Awards Children’s Book of the Year. Her second standalone story, The Island at the End of Everything, was published May 2017, and has so far been Sunday Times Children’s Book of the Week, long listed for the UKLA Book Awards, and won the Little Ripon Bookshop’s Children’s Book Award 2017 . 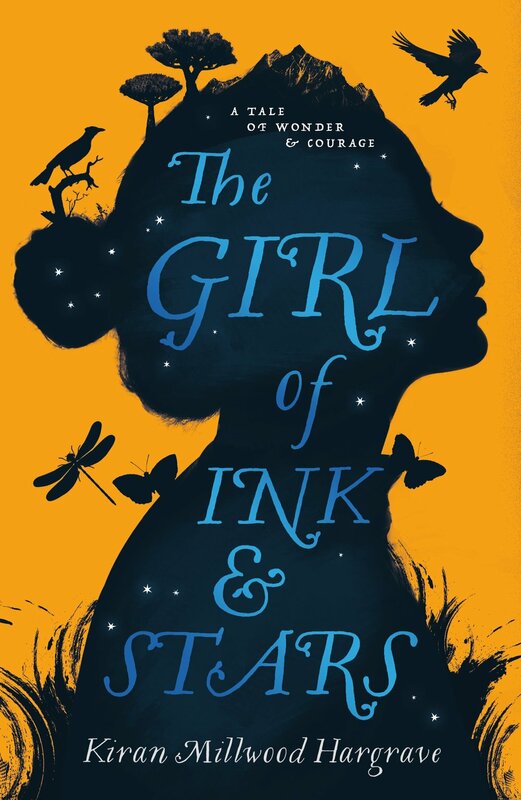 Kiran's debut novel The Girl of Ink and Stars was a Financial Times book of the Year.